Did you know that your movie theater favorite can be grown at home, even in an urban garden? When it comes to how to grow popcorn, the rules are virtually the same as for growing corn. Popcorn is best direct sown after the last possibility of frost has passed for the season. You should select an area that has access to full sun, but some degree of wind protection, as high winds can knock over tender stalks, especially when in combination with rain. 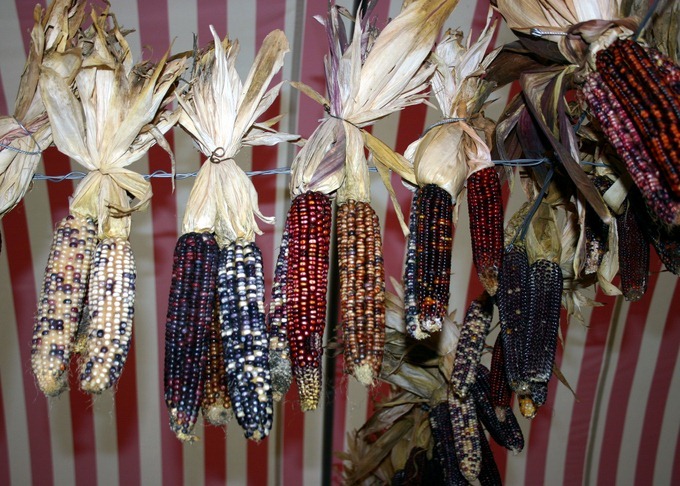 The Native Americans grew up to 700 different varieties of popcorn. Plant popcorn 2” deep and 6” apart in rows 12” apart. For proper pollination you should plant several rows as opposed to one long row. Instead of one 9’ row, for example, you would be better off planting three 3’ rows 12” apart from one another. While this isn’t absolutely necessary you may find that your popcorn does not pollinate properly otherwise, and your stalks will not produce ears, which means no popcorn. Once the popcorn has germinated, thin seedlings to 14-15” apart. It is good to note that without complete pollination, the ears will not develop full rows of kernels. To ensure full pollination, lightly shake the stalks on a calm day after the tassels have begun to release the yellow pollen. This will ensure that the female flowers get fully pollinated and your ears will be full. The best way to harvest popcorn is to leave it on the stalk to dry fully until the first frost. If the climate is too damp, you can bring the ears indoors to dry. If you bring them indoors, strip back the husks and tied several ears together by the husk. Hang these in a warm, dry area until the kernels are completely dry and pop off the cob easily. I have known this for a while now but I can’t find pop corn seeds. Should I be able to find them locally or on line. I live in Atlanta. Thanks for following me.